NOT TO BE MISSED EVENT OF ASHTANGA YOGA THROUGH ONE OF THE MOST SIGNIFICANT VOICE OF THIS DISCIPLINE! For the forth time in Italy at LA YOGA SHALA in Milan, great return of Eddie that will bring the authenticity of his teaching to all students of Ashtanga Yoga in Italy. 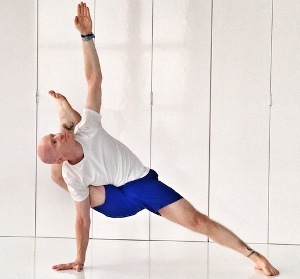 The youngest of the so-called Senior Teacher of Ashtanga Yoga in the world, Eddie has followed for almost twenty years', uninterruptedly, the teaching of his GURU SRI K.PATTABHI JOIS, from whom he could learn the most profound essence of Ashtanga Yoga. Always close to Guruji until his death in 2009, with great devotion and dedication, devoted his entire life to the study of Ashtanga Yoga even in its lesser known aspects. He has studied sanskrit and many of the scriptures of the Indian tradition as well as all aspects of the culture of the subcontinent. Eddie Stern is the personification of the western Indian thought and is the most authentic expression of how this can be applied to the rhythms of our lives so far away from the eastern system. He's one of the most recognized and extraordinary teachers of Ashtanga Yoga in the world and his return to Milan will be a great opportunity to share with him the true and pure essence of Ashtanga Yoga. Here the links of wonderful videos produced by ChopraWell in URBAN YOGI PROJECT, in which you see the work of Eddie and his attitude toward yoga: the first one is the presentation of the project LIFE CAMP that Eddie carried out with some students with different past in life and the second is the full story of one of them. How some of the super powers, or Siddhis, listed in chapter 3 of the Yoga Sutras, go address both emotional powers and also have interesting correlations to the functions of the autonomic nervous system. In the theory portion of this workshop, we’ll take a look at some of these sutras, and also speak about the activities of the autonomic nervous system in relation to Yoga. We’ll begin and end with chanting some simple yet powerful Sanskrit mantras, and practice some simple Pranayama to prepare us for the Chanting. In the yoga therapy class we will do some light yoga poses that will address alternative postures for knee and shoulder problems that are common in yoga and every day life. Feel free to bring your questions about poses that are troubling you, and we will have time to try ways to make those poses more comfortable for you. While we won’t have time to address everyone’s particular problems, we can look at general alternative positions that could be helpful for everyone to know. What is prana? Is it breath? Is it energy? Is it something else? In this class we will look at some different ideas on what prana is, and how the breathing exercises called pranayama help to harness it. We will also practice some simple, safe and effective pranayama practices. given the breadth of the schedule and the various possibilities of attendance that will be required, below the different solutions of the cost. Of course to attend the whole workshop gives the most convenient solution. To attend the workshop is required to be member of the ASSOCIATION MI.AS.YO. MILANO ASHTANGA YOGA valid for the academic year 2016 - 2017; this provides insurance coverage and the opportunity to participate in all the activities organized by the Association during the year: the cost is 20€. Students enrolled in the courses of The Yoga Shala are already members and who is registered AICS through other circles for the current year is already in order. 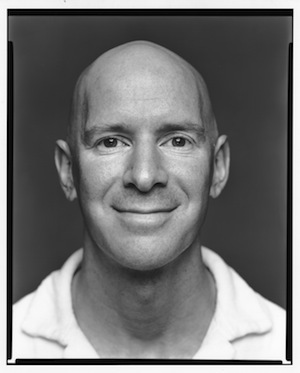 SHORT BIO ABOUT EDDIE: Eddie Stern is a yoga instructor raised in New York City. He studied Ashtanga Yoga, chanting, philosophy and ritual under Sri K. Pattabhi Jois, of Mysore, from 1991-2009, and is the founder of the Broome Street Ganesha Temple; co-publishes Namarupa, Categories of Indian Thought, a Hindu art and philosophy magazine; and runs the Urban Yogis project that brings yoga and meditation to young adults and youth in disadvantaged and at-risk-to-violence communities in NYC, with his collaborator, Deepak Chopra. He has published several books on Pattabhi Jois and Ashtanga Yoga, including a translation of Pattabhi Jois's 1960 treatise, Yoga Mala. He continues to study with Pattabhi Jois's grandson and successor, R. Sharath Jois.